Home Business & News Oscars back down After Enormous Backlash…Again. Oscars back down After Enormous Backlash…Again. The Academy of Motion Picture Arts and Sciences, which organizes the annual awards show commonly known as the Oscars, has been facing severe criticism this year for the number of “cancelled announcements” they have conjured since August 2018. 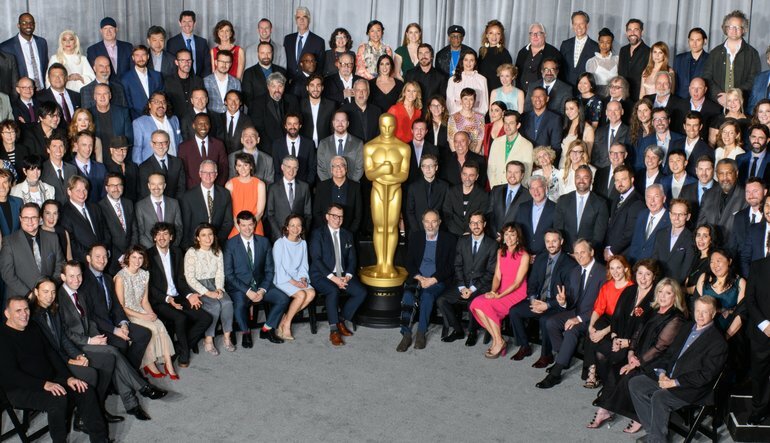 The latest of those very public organization mistakes on behalf of the Academy is one that has garnered much deserved backlash from the entirety of the film making industry worldwide. The disastrous decision was to prevent the airing of the presentation for four (4) awards during the Oscar broadcast. The four awards for Cinematography, Film-editing, Live-Action Short, Make-up and Hair styling would have been handed during the commercial breaks and would be later aired in a shortened, taped segment during the telecast. Shortly after this announcement, myriads of actors, directors, cinematographers, editors, critics and performers heavily criticized the Academy. Academy award winning directors Alfonso Cuarón, who’s nominated again this year for ‘Roma’, and Guillermo del Toro, who won for last year’s ‘The Shape of Water’ took to twitter to express their thoughts on what perhaps felt like an insult to the entire industry. Two days after the initial statement was released, he American Society of Cinematographers a response signed by numerous Hollywood icons such as directors Martin Scorsese, Spike Lee, Quentin Tarantino and actors including George Clooney, Brad Pitt and Robert De Niro who joined the following day. Seeing the obvious repercussions they would’ve faced had they continued with their proposed plan, the Academy backtracked on Febuary 15 and confirmed that it shall broadcast all 24 categories live as it normally does. This incident, however, is only one of many that have occurred throughout the last few months where the Academy has “tweaked its script”. A move plenty considered an insult as well, as it implies that film’s that are popular are not actually up to the standard of garnering a Best Picture nomination. The heat cause by this was even more intense due to the suggestions of several twitter users who implied that the Oscars might be trying to eliminate Marvel’s Black Panther from being nominated due to prejudice and not actual merit. Although, after Black Panther’s nomination for best picture was announced, a number of cinephiles thought of isuch nomination could clearly be seen as a tactic on behalf of the Academy simply to avoid being accused of racism. Black Panther wasn’t nominated for Best Picture due to its merit as a film. However, I also don’t believe that it was nominated in order to appease some socially progressive agenda. The Oscars’ ratings are plummeting. Marvel is popular. They’re trying to reach general audiences. The problem was with the “Popular” tag: I’ve always thought that a “Global Impact” award would have been an appropriate and welcome addition to the Oscars, enabling due recognition for the likes of Black Panther, without it being seen as a Best Picture consolation prize. Needless to say, the Academy is definitely going through a rough time this year, and not having a host seems to be the least of their problems. 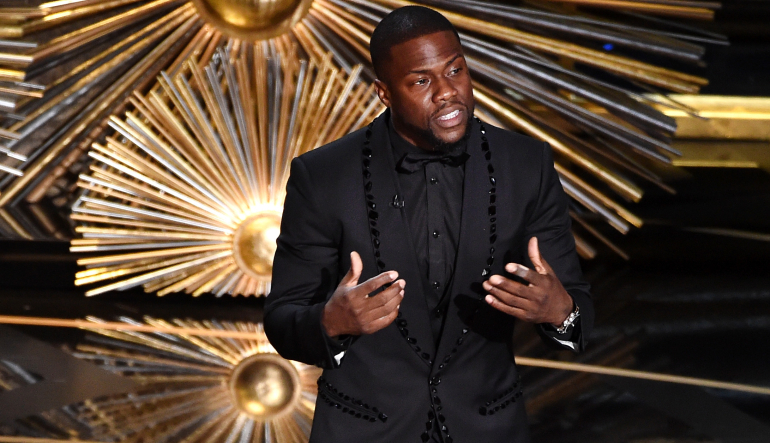 Kevin Hart at the 2016 Oscars. Despite being enthusiastic to host the show, comedian Kevin Hart was relieved of his duty after the surfacing of some of his old homophobic tweets. After this PR disaster, the co-producers of the Oscars, Donna Gigliotti and Glenn Weiss, decide on going forward without a host, deciding that the show would revolve around A-list presenters instead.